For the most accurate readings, you need to get high. Just-emerging Light Detecting and Ranging (LIDAR) and Sound Detecting and Ranging (SODAR) systems are more cost-effective ways than anemometer-equipped meteorological towers to measure the power a site can really be expected to produce at the loftier heights at which wind is now being harvested. In the five-stage wind information life cycle, a wind resource is first discovered via prospecting. A good site justifies more careful assessment. If there is real potential, the developer will need financing that will only come if a planned project's carefully measured data sets justify an investment of tens of millions -- or hundreds of millions -- of dollars. The last two stages of the wind information life cycle come after the project is generating electricity. One involves ongoing monitoring. The other is optimization, in which the site's potential is critically compared to the monitored output. 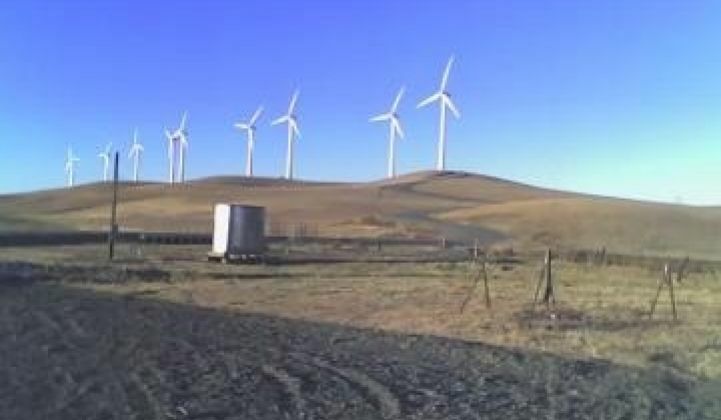 Whether a wind project makes it to each successive stage is usually determined by data. If it gets built, good data can make it more productive. Leading LIDAR and SODAR authorities say as many as 98% of wind developers are only just beginning to understand the advantages of advanced measuring technology for obtaining data. "Anemometers are certainly useful," Jim Adams, U.S. President of Natural Power, one of the most prominent LIDAR companies, said. "But there are limitations." Anemometers are familiar, but "you're measuring wind speed at a finite point." Because Federal Aviation Administration (FAA) regulations functionally limit meteorological (met) tower height, anemometer readings are essentially approximations. Though used since the 1970s in aviation, infrared beam LIDAR wind measurement was first made more accurate than met towers in the 2004-2006 period, slightly sooner than SODAR. LIDAR was then shown to provide more, and more precise, data. "With LIDAR, you have the ability to measure turbulence, you're looking at both the horizontal and vertical components of the wind," Adams said. "You're seeing the wind the way the wind turbine will see the wind." Natural Power's proprietary ZephIR system, developed and based in the U.K., is the most widely deployed wind-measuring LIDAR system worldwide. It projects a cone-shaped infrared laser beam straight up and reads the light's interaction with particles in the wind. It derives wind data from analysis of the particles' movements. "What's really brought it into the mainstream," Adams said, "is that it's small, compact, easy to install, and does the job it's supposed to do." Natural Power has just announced a new test site for advanced wind measuring systems in the U.K. where the industry will be able to compare the capabilities of anemometers, SODAR and LIDAR systems. Though a similar undertaking has been proposed by the U.S. National Renewable Energy Laboratory (NREL), this will be the first such field of comparison. "There's a place for SODAR," Adams said, acknowledging there are customers who tried SODAR and went to LIDAR, as well as "a lot of happy SODAR customers." Massachusetts-based Second Wind, in the business of measuring meteorological data for more than 25 years, saw a growing need to replace estimates extrapolated from met tower measurements with precise data. "There's really nothing wrong with anemometers," Larry Letteney, Second Wind's CEO, said, "with the exception of the fact that you can't get them high enough cost-effectively to give you accurate data." Second Wind's engineers chose a sound wave-based system. "In the last few years, we've become hailed as this very advanced wind measurement," Letteney said, "largely because of the combination of this ground-based sensor called the Triton and this web-based service called SkyServe that deals with data." Triton scatters sound waves from what Letteney described as "a very clean beam of sound" into the flow of the wind and reads the patterns the waves follow. "It listens all the way up the beam," Letteney said, describing the sound as "slightly audible" and "like the faint 'cheep' of a bird." But, he said, "It doesn't have to be loud to get readings." Software algorithms using the Doppler Shift -- the change in sound waves as they move toward and away from their source -- derive wind characteristics at any vertical height. Correlation studies show SODAR, LIDAR, and met towers have generally comparable accuracies. But a met tower requires permitting, making it significantly more time-consuming and costly. "LIDAR has accuracy," Letteney admitted. But, he said, "it ends up costing a couple hundred thousand dollars." Second Wind's SODAR unit is a quarter of that. "The cost of a Triton, installed," Letteney said, "is about $50,000 to $60,000." Natural Power stays competitive with an affordable rental rate. LIDAR may be less durable than SODAR, but SODAR's noise may be problematic in some settings. Reading sound may be difficult if there are surrounding obstacles but SODAR requires only the power of a pair of solar panels while LIDAR needs a more substantial power source. Natural Power proudly points out that many turbine warranties and some project financing decisions are based on ZephIR assessments, and Second Wind proudly points out that NREL has verified the accuracy of its Triton. The larger points are that met towers will no longer do, and there is a budding opportunity in advanced devices. "We're very much in favor of remote sensing," Jim Adams said. "We think that both SODAR and LIDAR have a purpose." "People fear change," Second Wind's Letteney said. But, "the industry has come to a consensus that they want the information and now the technologies are starting to catch up," he said. "We've tripled our manufacturing space. We're in growth mode."